Kodi proves to be a blessing for people who don’t want to miss their favorite movies, sports, TV shows, cartoons, or want to listen to their favorite music as long as they are free. The easy and simple interface allows users to install add-ons for the kind of media content they like the most. The likeness of Kodi users may vary a lot even that a small family may want to enjoy a diverse variety of media content. For example, a father will want spots and news channels, while his kids may want to watch cartoons and informative shows. But, the mother may want to keep an eye on the latest music, TV shows and serials. Kodi has a solution for all of them. By default, you can get access to any form of content, but to excel in finding media about a specific form or genre of content, you may consider installing a relevant add-on. 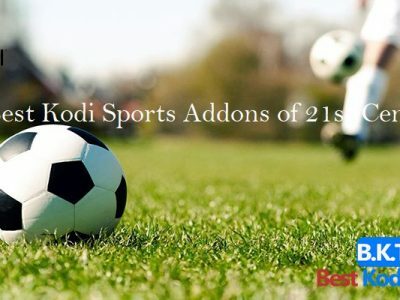 For your ease, we have compiled a complete list of 40 best Kodi add-ons for March 2019 that are classified mainly into four categories. 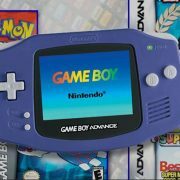 Below is the list, you will find add-ons for sports, cartoon and kid’s entertainment, music, and movies. 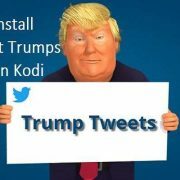 Please have a looking on the following list of Kodi addons as of March 2019. These are the addons that contain a bunch of fresh content. If you are looking for best addons in November 2018, then try our any from these 8 addons. Are you a sportsman or an enthusiast to follow your favorite team and support them throughout the series? 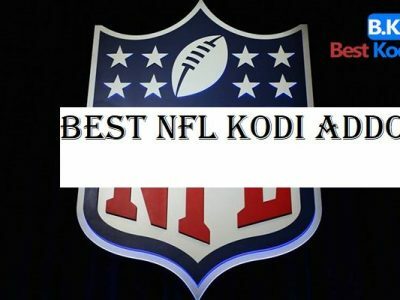 We are sharing some of the best sports add-ons for Kodi that can allow you to watch all the sports events live on a Kodi enabled personal computer, mobile phone, or firestick. 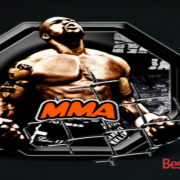 Sports Matrix is the most demanding best Kodi addons for March 2019 because it features PPV events. This is one of the few add-ons that fetch Boxing, Wrestling, UFC, and PPV events live to your Kodi application. With the help of additional add-ons like AceStream, it can bring more sports channels to your smart device. It is a simple yet innovative add-on that comes with 5 sub-menus to help you access all the live sports events around the world. In the first sub-menu, you can explore highly acclaimed sports channels, whereas the second sub-menu reveals an entire list of the global sports channels. If you are sports enthusiast and want to catch all the important highlights right on your Kodi powered device, you need to install Sports Replays R Us. This add-on takes you to view more than 25 sports TV channels across the globe. These channels include watching tennis, Boxing, NASCAR, Wrestling, UFC, etc. Atom Reborn add-on is bundled with a huge library of live streaming content. It contains all about live IPTV channels, Kids content, Live sports, and latest movies, etc. though it has a collection of media other than sports, the dedicated section of Real Debrid makes it a unique one to stream online content. Pure Sports is one of its kind Kodi add-ons as it has got the distinction of offering separate sections for a variety of sports. 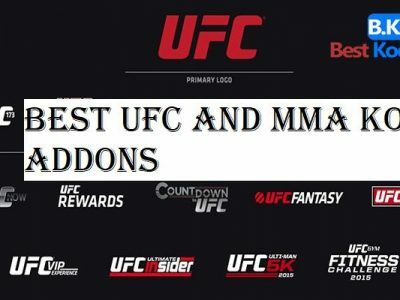 You can find different sections for UFC, cricket, boxing, NFL, football, NHL, or NBA. These sections include a lot of channels that highlights top-notch live content around the globe. Chronos is a recently launched add-on from Skydarks repository. With the recent launch, this media source is loaded with a whole lot of sections that not only expose you to live sports channels, but gives you free access to movies, radio, and concerts as well. A secret that you might not know is that this add-on does have a section for adult content that is password protected. iPlayer WWW is a Kodi add-on with a specialization to stream live content from BBC iPlayer. With the help of this add-on, you can play live without missing your single favorite show. Though this is not affiliated with the BBC iPlayer, you can peacefully watch the shows like Top Gear, Sherlock, Doctor Who, etc. Joker Sports is dedicated to sports because it covers all kind of sports and matched that are happening live regardless of its regional differences. The live matches that are played on top sports channels are available for watching online. Some of the worth mentioning channels are Sky Sports and BT Sports. Sports lovers can find ‘Sports World’ heaven to watch football matches live on their Kodi enabled devices. But, this add-on is not confined to football alone. It allows users watching NFL matches and to explore further categories of sports. Castaway is one of the best Kodi addons March 2019 for opening gateways to streaming a wide variety of sports events that may be held around the world. Catching up a sports match is no more difficult with the help of this application. Every parent wants to bring out the best solution for entertaining their kids. Cartoons and informative shows are the most captivating programs to watch so that they can learn and laugh at the same time. Following are the best kids and cartoon addons for Kodi that ensures browsing the best content for the little members of your family. One of the best Kodi addons for March 2019 does include Nevena Cinema that comes amassed with other tools in the Tojelako repository. It brings an enticing collection of cartoons and kids content, whereas, you can also find a movie from its huge collection either by your favorite actor or actress. Global Tec Aio is known as the hub of Kodi Addons because it brings it an amazingly great collection of extensions. The presence of so much entertainment category makes it call a mother of Kodi addons because its single category amasses content about documentaries, anime, kid’s hub, live TV, comedy, movies, TV serials and shows, and lots of more. Crazy Add-on appeals Kodi users for possessing three major sections of entertainment content. primarily, you can browse cartoons and kids shows, but the packages allow you to browse a whole lot of TV shows and movies. In addition to smart TVs, this add-on can prove an overwhelming solution for firestick users as well. TV Ontario Kids is among the few add-ons that come packed in with the official repository of Kodi add-ons. Primary it has a huge category of cartoons for kids, but it expands to a great variety of entertainment content such as anime, kids TV series, science shows, informative programs, and much more. Toonjet is equipped with tons of cartoon that can remind you of the unforgettable memories of childhood. The massive collection of kids’ entertainment content makes it suitable to view for people of all ages and not just your kids. You can browse classic cartoons like Popeye, Looney tunes, tom and jerry, Superman, and lots of your favorite characters. Get to know an amazing add-on with the name of Cartoon HD that gives you free access to various cartoon channels that are not only about cartoons and funny characters but do help your kids in learning different concepts in a fun loving manner. When it comes to finding the best Kodi addons March 2019, there is no replacement of Super Cartoons Kodi. It is recommended the most for possessing the biggest media library for your little kids. The simple user interface makes sure your children quickly navigate through the content and find their favorite one within a few seconds. CartoonsOn is a wonderful application for all the kids who are die-hard fans of the cartoons. This add-on opens the door to a huge content mill of cartoons that are equally entertaining for the kids as well as adults. Additionally, you can find an enticing stock of animated movies to watch with your family. Though the name Cartoons Clown may promote a perception that this add-on is all about anime, but this is not true. You can find a whole lot of kids’ entertainment in the shape of TV shows, movies, and informative programs. If you are searching for the right add-on that streamlines all the content from Nickelodeon and Nickelodeon Jr, this add-on is the ultimate solution. With tons of content for your kids, it will never let you down in installing the add-on for them on your Kodi device. It is quite easy to use and find the content. As you know music is known as food for refreshing and soothing your soul. Music has the power to heal your eternal wounds and double your joys when celebrating hard with your friends and family. Following are some of the best music addons for Kodi that can help you find the music that touches your senses. Most of the Kodi addons March 2019 for music have built-in media libraries for browsing live music from multiple internet resources. But, The Music Source is a bit different as it allows the Kodi users to live stream any radio channel of their choice from any city or state around the world. additionally, they can tune into any IPTV music channel worldwide. The music industry has a major share in the entertainment and Spotify is considered a hub of music in Kodi for bringing a vast collection to your device. You can stream live music, videos, and podcasts from your favorite celebrities. Additionally, you can select among the music genres to play pop, classic, solo, or rock. Looking to quench the thirst for quality music? 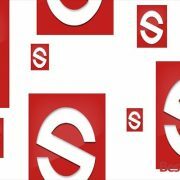 BeatZ is the answer to all your live music as it possesses a huge music library that brings the content of any flavor. One of the fascinating features of this app is that does not completely depend on YouTube for streaming live music onto your device. You can listen to music from a great variety of websites. If you are a music enthusiast, you may well be aware of YouTube. But, have you ever thought of streaming YouTube music live onto your Kodi devices? Explore the entire content right on your Smart TV, Android, or Firestick by installing YouTube add-on for Kodi. This simplifies watching and listening to your favorite track without a pause. MP3 Streams, the name itself represents that this add-on is specifically developed for the music lovers to browse and stream music from a great number of online sources. You can find an exclusive media library that is equipped with the music of all kind that is classified into various categories like top albums by artists, jazz, hip-hop, rap, and top 100 numbers. The music box is not a new contender among the Kodi addons 2019 as it was introduced a few years back and got the fame among Kodi users because of its amazingly comprehensive music library. In the appealing list of albums, you can find your favorite iTunes chart that can be played with a click. Users who are browsing music on their personal computers and cell phone may well be aware of the TuneIn Radio add-on as it is quite popular. This add-on caters to various preferences of music lovers as they can either play live music from its vast library or tune into their favorite radio station around the world. MetalliQ is an entertainment hub that is not limited to enjoying live music with a variety of artists and bands. Its extensive media library extends to a treasure of TV shows and movies that include the classic masterpieces of art and the contemporary genres. 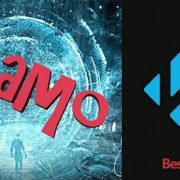 Nemesis is among the best Kodi addons for March 2019 because it caters to a variety of audiences with a massive content of music, movies, sports, news, and TV shows. 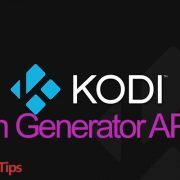 The affiliation with various content distribution networks and contracts with contributors make it one of the favorable add-ons for the Kodi users. If you want to listen to the latest and top trending musical tracks, it is the time to install Now Music USA Kodi add-on. The collection of all the latest songs as well as the previous tracks has compelled the Kodi community to have it before any other application. One of the best past time activity for friends and families is watching movies at home or at the cinema. Why do you need to go out and spend a lot when you can gain access to a lot of free and premium movies content right on your Kodi device. 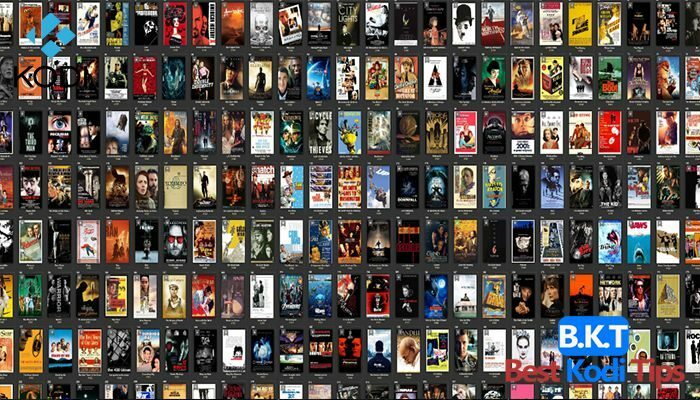 Get to know about the best movies addons for Kodi in the following list. Exodus is a complete entertainment box that houses a zealous number of movies that makes it a look-alike of Netflix. This is one of the best Kodi addons 2019 that allows users can easily search a movie by a specific actor or actress so they can watch movies by their favorite celebrities without remembering the movie names. Covenant offers a simple and easy to use interface so that a common man can easily access a pool of movies that are not usually available to watch online. The simplicity of this add-on has made the Kodi replace Exodus with this vibrant application. Poseidon is one of the widely used Kodi add-ons for browsing movies of different genres on personal computers as well as firesticks. It comes with an easy user interface that is almost similar to that of Covenant and Exodus. But, the up to date media library set it apart from the opponents. Triton is regarded as one of the best Kodi addons for March 2019 for brings top-notch movies from around the world to your Kodi device along with the HD links. It gives you easy access to watch movies either in the normal quality or switch to its high definition version. In addition, you can watch favorite TV shows and serials as well. Universe HD brings about an enticing collection of movies that amasses entertainment content from across the globe. It includes movies from Bollywood, 3D movies, kid’s content, HD shows and movies, and lots of other stuff to enjoy. Installing this add-on makes watching movies a hassle-free job. Digi Box is one of the best Kodi Addons March 2019 that is equally suitable for Android and other mobile users to watch all the latest movies and TV shows they are craving for. The striking feature of this add-on is the quick content loading speed that keeps the slack at nominal. Kratos is a dedicated addon for watching movies on a Kodi installed device. It is not just like the rest of the movie application because it has certain advanced features like Spotlight. With the help of a spotlight category, users can get to know all the movies are high in demand and trending across the globe. Oculus is a remarkable addition that’s why it deserves to be listed in Kodi addons 2019. With the help of this add-on, you enter a heaven of movies and TV shows to continue watching live streaming continuously for long hours. It is a tool for enjoying unstoppable movie streaming for a full day. 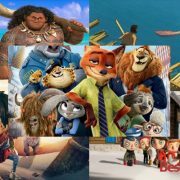 Find various sections like top-rated, popular, new movies, etc. to browse the content. Shows Motion is also one of the greatest add-ons that focus on streaming a whole lot of TV shows and movies. This add-on highlights the kind of content trending around the world so that you can watch without wasting time any more. Additionally, you can also get insights about the content available in high quality. Watching movies on Kodi is an amazing experience when you have an easy interface provided by Redemption add-on. It carries a series of categories for movies to help you select the one that best matches your mood and gathering. You can either search a movie by alphabets or click the various sections like the latest movies, fresh releases, 3D movies, and 4K content. The list is compiled with some of the best Kodi addons that can open doors to an unlimited number of media and entertainment content. Get to know your needs and preferences to install the adds the brings an enticing collection of sports, cartoons, music, and movies to your Kodi device. Let us know if you are already using some of them or planning to install them soon.